Multiple official third party sites, demo available. Steam version includes several extra levels and enemies from Valve games. Patches and changelogs are available at official site (not needed for Steam version). 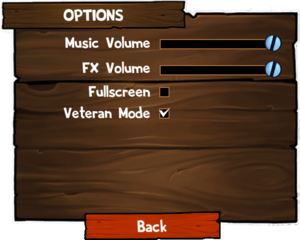 Save game data possibly includes configurations as well. Steam Cloud is enabled, but it never syncs anything. 4:3. Fullscreen uses desktop's resolution and scales game to that maintaining aspect ratio and adding black bars. 1024x768 by default. For other resolutions and forcing windowed at launch use launch parameter. Most animations are 30 FPS, gameplay is unlocked. Should be playable in windowed mode. Use launch parameter to force larger resolution. Game by default uses OS to determine language. To change language, use launch parameter. These can be used as regular launch parameters or by creating file <path-to-game>\arguments and putting in arguments separated by space or new line. -width x force window's width in windowed mode to x pixels. 'x' value must be between 1 and the max width supported by the graphics card. Value is 1024 by default. -height y force window's height in windowed mode to x pixels. 'y' value must be between 1 and the max height supported by the graphics card. Value is 768 by default. -vsync activate render vertical synchronisation. -forcelanguage Language Force the game to be in 'Language', can be: French, English, Italian, German, Spanish, Dutch, Swedish, BrazilianPortuguese. ↑ File/folder structure within this directory reflects the path(s) listed for Windows and/or Steam game data (use Wine regedit to access Windows registry paths). Games with Steam Cloud support may store data in ~/.steam/steam/userdata/<user-id>/267340/ in addition to or instead of this directory. The app ID (267340) may differ in some cases. Treat backslashes as forward slashes. See the glossary page for details. 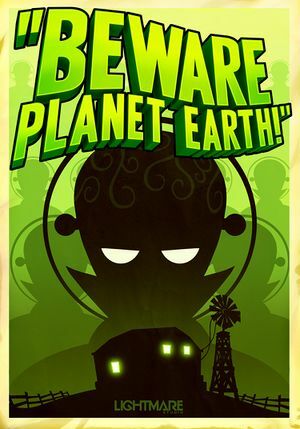 ↑ Official presskit, "We are proud and happy to announce that "Beware Planet Earth!" will be available for purchase on www.bewareplanetearth.com from Friday, June 29. ", file creation date is June 28, 2012 and June 29, 2012 is Friday.